Can Great Barrier Reef Be Revived As Bleaching, Climate Change, Oil Spills Remain A Concern? A new Deloitte Access Economics report has calculated the social, economic and iconic "asset value" of Australia’s the Great Barrier Reef and believes it’s worth more than 12 Sydney Opera houses put together and estimated the value at $42 billion ($54 billion in Australian currency). The report said the reef contributed $5 billion (Australian $6.4 billion) per year to the Australian economy and supported 64,000 jobs “We might say it’s invaluable. But identifying its value can help us appreciate its importance and shape thinking and policy around its future,” the report said. Read: Great Barrier Reef Worth Billions: Can You Put A Price On A Wonder Of The World? Spanning 1,429 miles, the Great Barrier Reef can even be seen from space. The hundreds of thousands of marine and coral species that make up its rich tapestry of biodiversity make it one of the most unique and complex ecosystems in the world. But what is the future of the natural wonder? Can it be revived? Several questions have been asked about how dead the reef is. Several studies and research papers have been conducted on the Great Barrier Reef over the years. The detailed report attempts to make an economic case for saving the reef in the face of a changing climate that has made conditions right for two back-to-back bleaching events in 2016 and 2017 to devastate 900 miles stretch of the UNESCO World Heritage Site. However, following the bleaching some members of the Reef 2050 advisory committee, a group of scientists and experts tasked with implementing the government’s plan, raised doubts about its feasibility. At a committee meeting earlier this year, two experts, both hailing from government science agencies, said “improving the natural heritage values of the reef was no longer possible,” the Guardian reported. The experts, who spoke on the condition of anonymity, said the plan’s aim should be tweaked to something “more achievable.” The reef will “inevitably” be damaged because of global warming, they said, but its “ecological function” could be maintained. 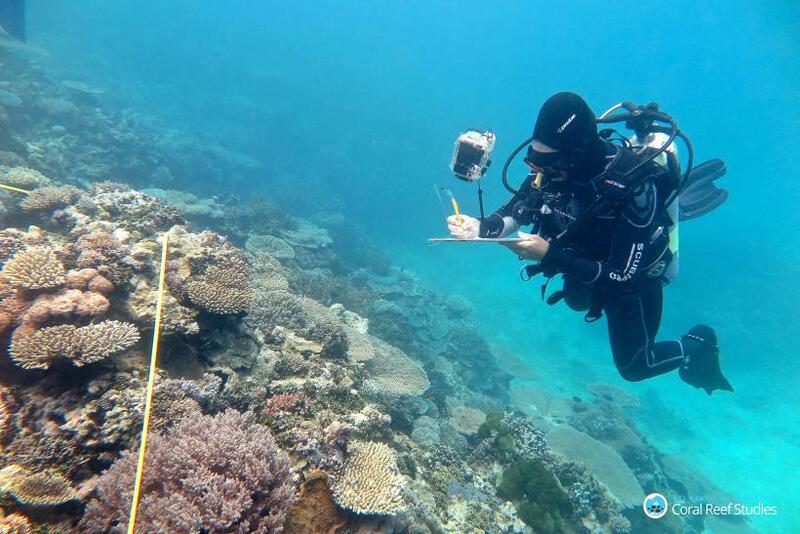 Earlier this month, another group of reef experts — the Great Barrier Reef Independent Expert Panel, another advisory group tasked with implementing the Reef 2050 plan — reiterated the concern. “There is great concern about the future of the Reef, and the communities and businesses that depend on it but hope still remains for maintaining ecological function over the coming decades," the statement read. However, coral reef bleaching may be easing after three years of high ocean temperatures, the longest such period since the 1980s, the National Oceanic and Atmospheric Administration (NOAA), an agency of the U.S. Department of Commerce said last week. The agency's experts said: “Satellite data and other analysis showed widespread bleaching was no longer occurring in all three ocean basins — the Atlantic, the Pacific, and the Indian — indicating a likely end to the global bleaching event." Even as climate change remains the main concern for keeping the reef alive, recent oil spills have also posed a great threat to its revival plan. A Panama-based company allegedly spilled about 15 tons of oil near the Great Barrier Reef in July 2015. It is alleged the oil came from the ship Regina, owned by company Globex Shipping and the spill required a cleanup costing $1.5 million. The company may be fined up to $17 million. 2010: Chinese coal carrier Shen Neng 1 carves 2.2 km-long scars in a reef off Rockhampton, also leaks four tons of oil. 2009: Hong Kong cargo ship Pacific Adventurer spills 270 tons of heavy fuel oil with oil washing up onto beaches at Moreton Island and on the Brisbane River. 2006: Hong Kong bulk carrier Global Peace collides with a tug spilling oil into the Port of Gladstone requiring 100 personnel eight days to clean it up. 2004: Panama owners of Pax Phoenix fined $85,000 after 1,000 gallons of oil was deliberately pumped into the sea near the Whitsunday Islands.